Tim Krul | NUFC Blog. 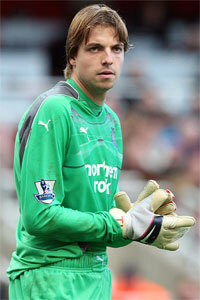 Archive for tag: Tim Krul. Venue: St James’ Park, NE1. Date: Sat, 21st April, 2012. In the middle of March, with 10 league games left to play, Alan Pardew stated that winning five of them would just about get the club into Europe next season. He was right – but even he didn’t expect the team to win those games straight off! But they did. Now, with 5 games still left to play, United find themselves on the threshold of qualification for the Europa League, but because of those 5 straight wins, they are now also gunning for a place in the Champions League! I think it’s safe to say that recently Tim Krul has been on fire, I believe that he has been instrumental to the best defence in the Premiership so far. Danny Simpson doesn’t turn into a fantastic left back overnight, it’s Timmy who won the 3 points for us at Wolves with a couple of ridiculously good double saves, some of which a certain Mr S.Given would be proud of. I remember that away game against Palermo when he made his debut so many years ago, whilst looking jittery (to be fair it was a hell of a game to be thrown into) he made some cracking saves, and if memory serves me right, a certain Albert Luque scored to bring home an away win. After the victory over a very average Fulham team, it is still far from being all rosy in the NUFC garden. Apart from the obviously self imposed transfer chaos, club policies, missing transfer revenues and off field dramas filling up the headlines before, during and after the game, some fans don’t seem content with another vital three points and are fault finding at every opportunity. I am dismayed at the criticism being directed towards Newcastle and Holland’s current Number 1 after arguably his man of the match performance on Sunday? It is has been an excellent start to the season with the momentum picking up nicely on the pitch and we are looking in decent shape so i am quietly optimistic that with a few extra faces though the door before deadline day, we should be ok this season. Tim Krul on one of his murderous rampages. 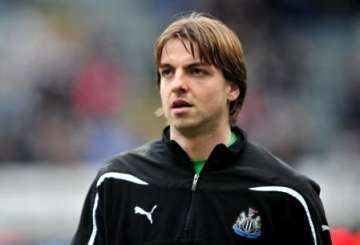 With an injury to Steve Harper that could see him out for the rest of the season, the responsibility falls to young Tim Krul to take his spot at the Gallowgate between the uprights. We expect ball catcher extraordinaire Steve Harper to be back for the beginning of the 2011/2012 season, and it couldn’t have come at a worse time for the Easington born ‘keeper. There are question marks surrounding the rightful owner to the number 1 shirt just 2 seasons after Harper finally claimed first choice goalkeeper. 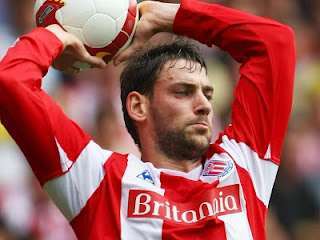 Steve’s position in the squad is constantly under threat from Tim Krul and Hexham born Fraser Forster. Fraser doesn’t want to sit on the bench, and Tim is more than willing to do that to cement his place at St. James Park. With youngsters Jak Alnwick and Ole Soderberg steaming up through the ranks, we’re reminded exactly how blessed we are in the goalkeeping department here at Newcastle. The unfortunate thing for Tim Krul is that even if he does manage to take the shirt from Harper’s back, he still has Fraser Forster to contend with. With them being of similar age, it will be even more difficult for Tim to retain the shirt, or maybe for the club to keep Forster on the books – after all, he doesn’t want to warm the bench.